I tried a new afternoon snack yesterday & today – ME LIKEY! I saw them in Triathlete Magazine and stopped by Whole Foods the other day to pick some up. I LOVE bananas (just ask my wife), but am not a fan of dried bananas – so these intrigued me. They didn’t have the plain/original, so I was “forced” to get the dark chocolate-covered version. They were very tasty – I even shared with my wife, who gave them a “thumbs up” too. Gotta get some more and also want to try the plain/original variety too. I guess I could see carrying these for some variety on a long ride or putting them in a drop bag for a long run. 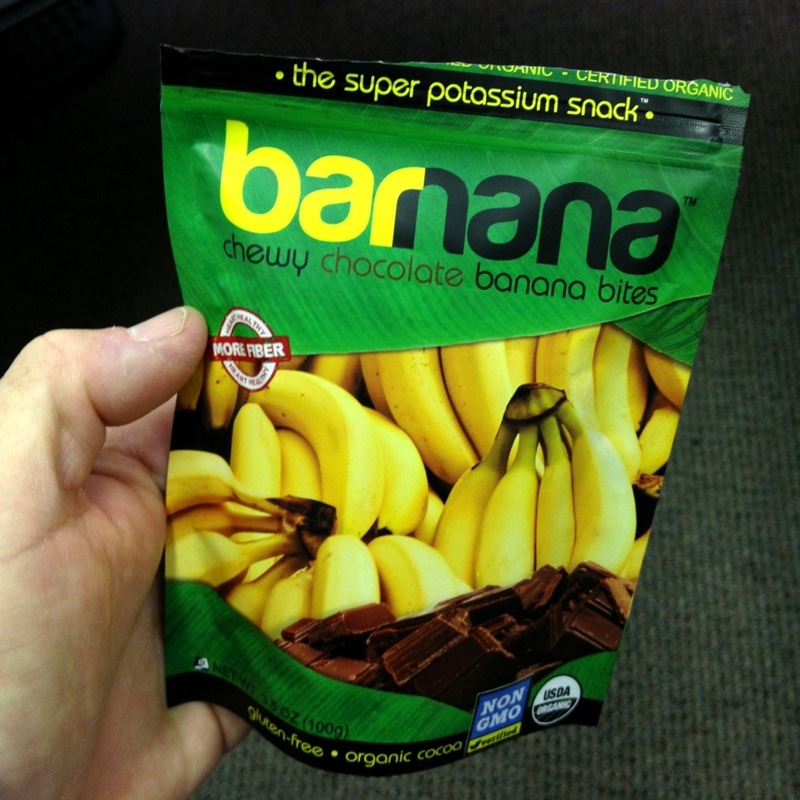 Check them out at barnana.com – its a pretty cool story about how they got started. Oh, and give them a try too! Comments: I did 6.78 @ 8:06. For some reason, I just can’t seem to slow down. I need to deliberately work on that aspect of running since I know for sure that I can’t maintain a 7:55 pace for a half or full marathon (which was my average pace this week.). Then again, …! I have very few tasty post workout snacks that also gluten free, I am definitely going to go try these this weekend, thanks for sharing! Yummm to these banana chocolate goodnesses!